It has always been important to save certain documents for legal and sentimental reasons. Tax files, deeds, and photos are the items that have for generations filled fireproof saves and safe deposit boxes. Today’s digital world has added at least two dimensions to this issue of personal information storage. First, the ability to store and transfer digital records, music, and photos has dramatically increased the amount of information being stored. The average individual can well have more music on a hard drive than a medium-sized bank of the 1970s would have stored on all of its customers. The second dimension is the actual process of providing security for all the digitized information. There are both active and passive threats to every byte of information that is put online or on a computer drive. Computers fail, get lost, stolen, and damaged. Also, there are very sophisticated and aggressive groups and individuals who have as their mission the hacking and pilfering of any digital information they can access. Dealing with these two real world threats to digital information is an important priority for anyone using the computer and online resources. The advent of the cloud form of computer storage adds to the volume of both personal and business information that is now and will be stored remotely. While companies that use the cloud supposedly adhere to strict security protocols, there is no 100 percent security possible. Additionally, with the growth in pseudo-cloud applications, it is important to verify any vendor’s commitment to security and protection procedures. There are several steps every savvy user needs to employ to gain the maximum possible protection for their digital and online information. Here are several things that will make your information less vulnerable to threats of loss and theft. Perhaps the single most important step for the average user is an increased awareness of both the amount of information that they are storing and the sensitivity of that information to loss. With computers, and now smart phones, so accessible, it is easy to forget that tens of thousands of computers fail every day, with their hard drives crashing or their systems made useless. Thousands more are lost, stolen, or damaged by fire and accidents. That is in addition to the thousands of computers that are hacked and/or infected by malware every hour. It is, in fact, estimated that an unprotected computer hooked up to the Internet will be infected by several viruses within 15 minutes of connection. The threats are real and the impact can be catastrophic. Any computer connected to the Internet must have a robust anti-viral/malware software suite, including an effective firewall. There are a number of effective programs, and their use is not optional. The programs to use regularly update their database of threats and provide active/proactive protection against infection. Everyone sees the warnings about password usage; far too many ignore the warning. The first line of defense for your information is a password that is not easy to hack by robots. Going back to the issue of awareness, understand that there are thousands of robot codes on the Internet working 24/7 that can crack simple alpha passwords in milli-seconds. You have to make and use a password that provides several layers of protection, and change that password every month to six weeks. Of course, the issue then becomes not sharing that password with anyone. The largest companies have rigorous plans for regular, real-time back up of data as well as remote storage of files. Individuals can take advantage of this sophisticated protection with several cloud-based back up services. There are actually two levels for the home information you store. First, buy an inexpensive set of external drives and keep your critical information backed-up locally. Every month or so, take that drive and store it elsewhere, at work or in your safe deposit box. Swap it out with another external drive so you always have a remote copy that is easily accessible. The second level is to use an online back-up service for your main information and data. This is very inexpensive, especially if you store the large volume of music and photos locally. At any rate, this process will allow you to avoid the tragedy of losing all your work and sensitive data in the event of loss or hacking/infection. Online and digital storage is a great modern convenience. A little planning and safeguarding will provide the security to keep that convenience from becoming a nightmare. Author Bio: Joshua Turner is a writer who creates informative articles related to business. 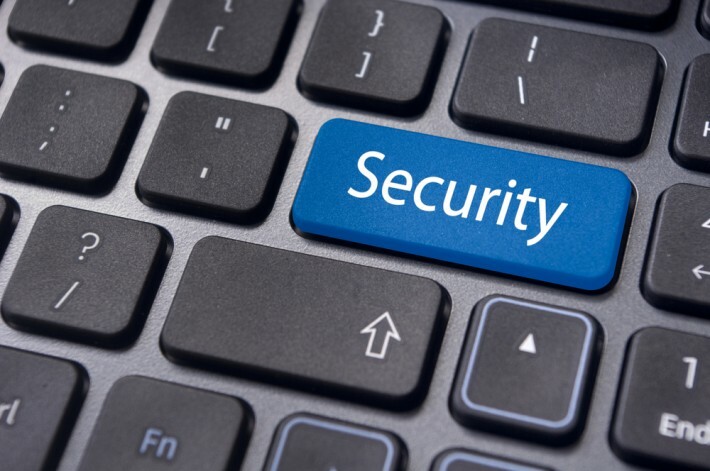 In this article, he offers security tips for the personal information of individuals and aims to encourage further study with a Health Information Management Degree Online.